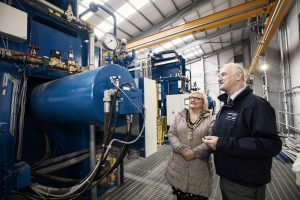 £4 Million Investment at Caugh Hill Water Treatment Works Complete! 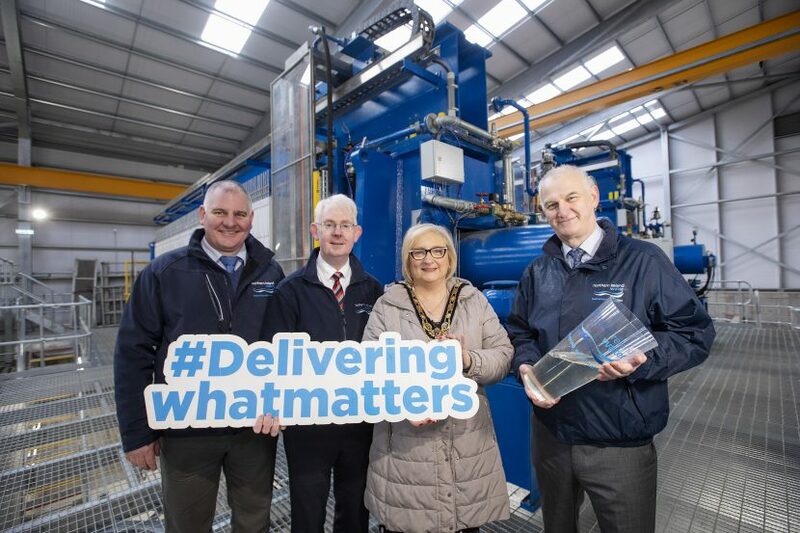 NI Water is pleased to announce the completion of a £4 Million investment at Caugh Hill Water Treatment Works outside Dungiven. The improvement work involved the construction of a new sludge press, which is an essential element of the water treatment process at the plant. The sludge press will improve the efficiency of the water treatment process, bringing essential cost savings to the business as well as improving the water quality and service to our customers. Work started on site in August 2017 and was completed ahead of schedule this month. A new filter was also added to enhance the overall process. 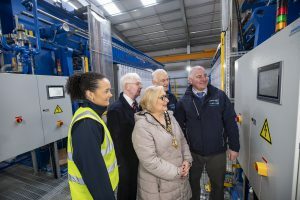 This new filter will also bring environmental benefits, as the water used in the process is recycled, which maximises water usage at the plant and will enhance the water quality in nearby rivers. “I am delighted to visit the plant today to see first-hand the improvements that have been made at the Caugh Hill site.